This year's Spring Festival movie box office once again earned a lot of money. Cat Eye Professional Edition data shows that as of 21:00 on February 10, the total box office of 8 New Year's movies has reached 5.784 billion yuan, and the box office of 2018 Spring Festival is 5.771 billion yuan. 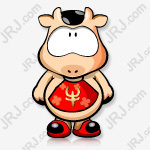 , refresh the box record of the Spring Festival file again. Among them, the top three in the box office were: "Wandering Earth" box office reached 1.992 billion yuan, "Crazy Alien" box office reached 1.439 billion yuan, "Flying Life" box office reached 1.035 billion yuan. According to the research report of CICC, in the pessimistic, neutral and optimistic situation, the box office of the Spring Festival in 2019 is expected to reach 5.9 billion yuan, 6.5 billion yuan and 7.2 billion yuan respectively. As the leader of this year's Spring Festival movie box office, "Wandering Earth" in the early stage of the release of the film and the box office is not dominant, with the first domestic sci-fi blockbuster word of mouth to achieve the amount of film and box office counterattack. The data shows that the counterattack of "Wandering Earth" occurred on the third day of the New Year's Day (February 7th). The box office of the film rose from 200 million yuan to 790 million yuan on the first day of the New Year's Day. The next 340 million yuan box office, the proportion of the film also climbed from 11.4% to 24.7%. In just two days, the "Wandering Earth" box office score rose from the fourth to the one-day box office champion, and continued to lead. The box office sale of "Wandering Earth" means that the producers who participate in the investment will get rich returns. In addition to the film from the initial guest appearance to the final investment of 60 million yuan "funded into the group" starring Wu Jing, A-share listed companyChinese filmAnd Beijing culture has become the biggest winner. Among them, compared with the film and television leading Chinese film, Beijing culture has been flourishing in the past two years. In 2017, Beijing culture was made famous by Wu Jing’s director and starring "Wolf Wolf 2". From the first day of the film release to the total box office of over 3.3 billion on August 7, 2017, it surpassed "Mermaid" to become a new one. 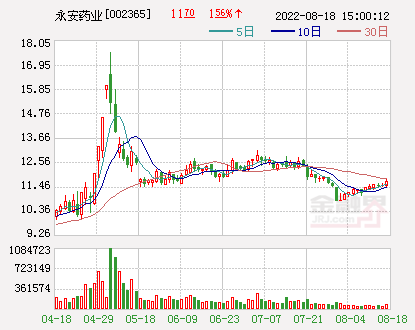 At the box office championship, Beijing Culture's share price rose nearly 60% in just 8 trading days, and the company's market value soared 5.5 billion yuan. After "War Wolf 2", Beijing Culture successively participated in the production of "I am not a drug god", "No Name of the Generation" and other box office word-of-mouth movies. According to the company's previous announcement, the above two films brought benefits to the company. The total is not less than 125 million yuan. Beijing culture rose slightly from January 10 to February 1 with a 17% increase. With the excellent box office performance of "Wandering Earth" during the Spring Festival, can Beijing culture continue to welcome a wave of market after the holiday? It is worth mentioning that when Beijing culture once again “betting” and “Wandering Earth” succeeded, there were also some companies that were slightly behind. According to public information, on May 26, 2017, when Wandering Earth was launched in Qingdao, the producers were not only Chinese films, Beijing culture, but also director Guo Fan's studio, as well as Wanda Film & Media Co., Ltd. When the "Wandering Earth" was officially released, Wanda Film and Television Media Co., Ltd. has disappeared from the producers. Beijing Dengfeng International Culture Communication Co., Ltd., which is actually controlled by Wu Jing, has become one of the four production companies. In addition, despite the big box office sales, there are still negative returns from investors. On the evening of the 10th,Shanghai movieAnnouncement, as of February 7, 2019, the company's comprehensive income from "Wandering Earth" is temporarily -2.8 million yuan to -2.3 million yuan. As the film is still in the show, the related revenue will increase as the box office increases. Listed companyWentou HoldingsAlso invested in "Wandering Earth", the company announced on the evening of the 10th that due to the small proportion of participation in the investment, as of 0:00 on February 10, 2019, the company's investment in the film generated business income has not yet formed a large scale, the company The impact of performance is not significant. This year's Spring Festival, Beijing culture is not a big one. In fact, behind the box office wins and losses, more is the game between capital. Most of the 8 domestic Chinese New Year films in the Spring Festival this year have listed companies participating.Among them, in addition to Chinese film and Beijing culture investment "Wandering Earth",Light mediaThen "gamble" "Crazy Alien." On the evening of July 5, 2018,Hong Kong-listed company Huanxi Media released a notice saying that its investment film "Crazy Alien" was guaranteed by Horgosle Flower Studio for 2.8 billion yuan, and Joy Media also locked in 700 million yuan in advance.With the release of the film,Light Media became the main proponent of "The Crazy Alien"It also means that the light media that has not represented the works in the past two years is looking forward to a "turning over". Behind Han Han’s new work “Flying Life”, he stood at Bona Film.According to public information, Bona Films has been “hot” to participate in the Spring Festival in recent years. In the Spring Festival of 2017, Han Han’s “Winning the Waves” and the “Red Sea Action” in the Spring Festival of 2018, there are Bona Films behind them. Moreover, the box office of these films is very good, of which the box office of "Wind and Waves" is 1.046 billion yuan, and the box office of "Red Sea Action" is 3.65 billion yuan. The "King of New Comedy" with Zhou Xingchi as the biggest selling point showed a trend of high opening and low walking in the Spring Festival, and the listed company behind it wasNew culture.In early 2017, New Culture invested RMB 1.326 billion to acquire a 51% stake in Zhou Xingchi's production company, PDAL. The two parties agreed that in the future, if Zhou Xingchi is the main project, the new culture can enjoy at least 20% of the priority investment rights through the investment company. At that time, Zhou Xingchi's PDAL made a performance commitment, and promised that the company's net profit for the fiscal year 2016 (as of March 2017), fiscal year 2017, fiscal year 2018, and fiscal year 2019 would be no less than 170 million yuan and 221 million yuan respectively. 2.873 billion yuan and 361.17 million yuan. Some insiders said that "The King of New Comedy" was born under such a background, which may be one of the reasons why the film has more advertisements. In addition,Wanda MovieIt was revealed on the interactive platform that the company participated in the filming of "Flying Life" and "Bear Infested Original Age" released in the Spring Festival.With a promotional video that was screened before the Spring Festival"Little Pig Peggy's New Year" is the first time that Ali Films has been the main project of the main project in the major period.It is also the first time that the platform's Taobao ticket is issued in the Spring Festival file. 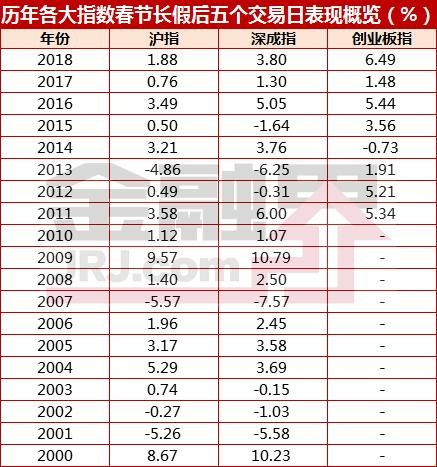 Although the Spring Festival in 2019 is still hot, the research report from CICC shows that the stock price of the Spring Festival in the past five years shows that the rest of the year, except for 2014, did not achieve significant excess returns. but,Guoyuan SecuritiesIt is believed that in 2018, due to the dual pressures of market and supervision, the film and television sector is currently at a historical low level. The recent policy support and the increase in the Internet giant have improved the market's previous pessimistic expectations to some extent. In the medium and long term, the trend of content in the film and television industry is clear, deepening the content, focusing on innovation, and the prospect of enterprises with IP moats or channel advantages is more optimistic. Zhongzheng Jun combed the relevant data and produced the following form for investors' reference. Need to be reminded that since 2018, listed companies in the film and television industry have experienced a lot of thunder, investors should be careful after watching the movie, do not blindly pursue the wind.